MONTCLAIR, New Jersey (WABC) -- Candles now form a small vigil outside the Butler family's home, reflecting just a glimmer of the magnificent light Sarah spread to those she loved. Eyewitness News spoke with her heartbroken parents on Friday, who can't imagine life without her as the investigation into her mysterious homicide continues. Sarah Butler gracefully practiced her passion for nearly two decades, using dance to express what mere words could not. The 20-year-old media arts major at New Jersey City University had unlimited potential according to her loving parents. They are now overwhelmed with grief following the gruesome discovery of Sarah's body inside Eagle Rock Reservation in West Orange Thursday morning. 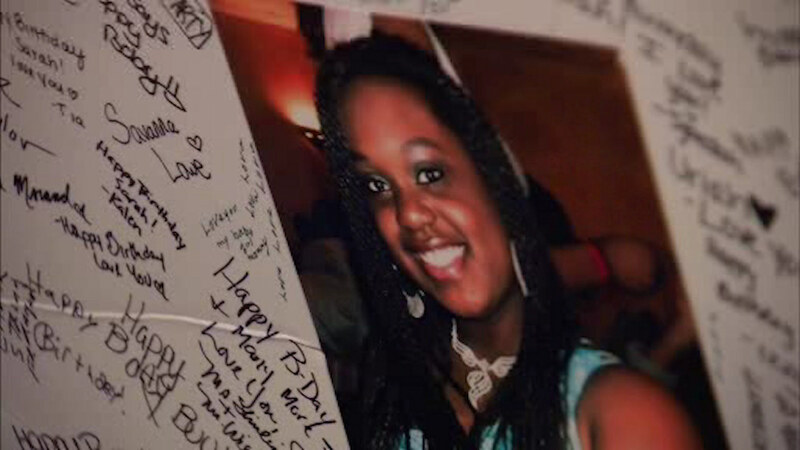 "Not my Sarah, not my Sarah," said LaVern Butler, Sarah's mother. "Somebody to do what they did to my baby girl, I just feel I couldn't help her. I wasn't there, that's the hardest part, you know," said Victor Butler, Sarah's father. Sarah mysteriously disappeared just two days before Thanksgiving, right before a scheduled family trip to Jamaica. For over a week family and friends desperately prayed and awaited answers, until her 2007 Dodge Caravan was found abandoned in Orange. Now the Essex County Prosecutor's office is investigating. "It was senseless I just...whoever did this is a dog," LaVern said. Sarah's family now holds onto precious memories like the ones of her dancing. Sarah's longtime dance teacher at Premiere Dance Theatre says countless kids looked up to her over the years. "She would help within the community. We have a lot of community events, sister to sister, we do outside events, career day, public speaking classes, parties for the children, she would always be involved," said Shirlise L. McKinley, dance teacher. Essex County Sheriff Armando Fontoura's Crime Stoppers Program is offering a reward of up to $10,000 for information leading to an arrest and conviction in the murder of Ms. Butler. Anyone with information is urged to contact the Essex County Prosecutor's Office Homicide/Major Crimes Task Force tips line at 1-877-TIPS-4EC or 1-877-847-7432.